This past Sunday, we visited our friend's house to have a barbecue and see their new pool. 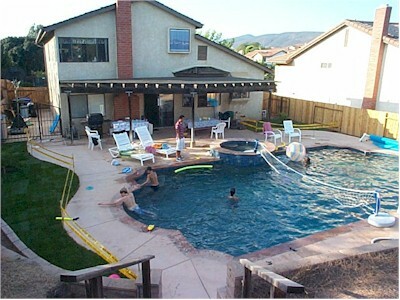 They used he pool contractor we did, and got some nice results. Their pools is a bit deeper than ours, which actually made it somewhat difficult to play volleyball.